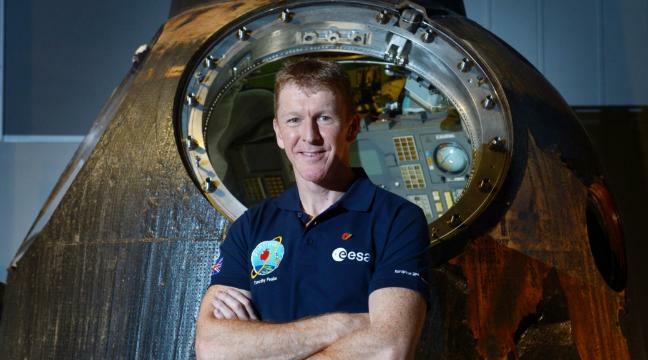 Augmented reality spacesuit was designed as part of as Tim Peake’s Spacecraft National Tour – an educational outreach programme featuring a bus tour travelling to schools and town centres across the United Kingdom for the next two years. 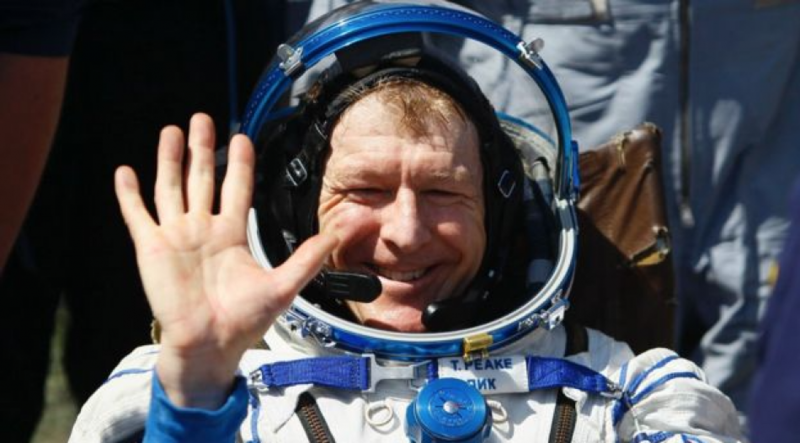 Students will be invited on board the bus to explore the ISS, explore interactive content on tablets, have a selfie taken from the viewing platform over Earth and try on the AR space suit. 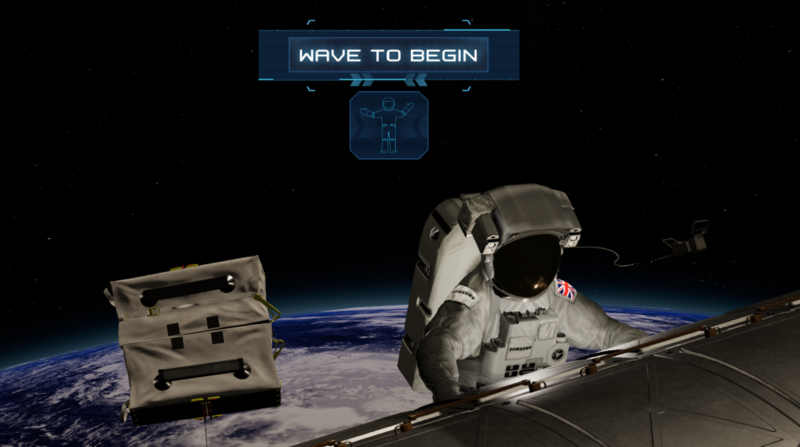 As well as this, they’ll strap in for a 12 min Space Descent VR Experience; putting you in the pilot’s seat of the Soyuz capsule during the descent of the Soyuz capsule – with Tim Peake himself – from the ISS, back to Earth. 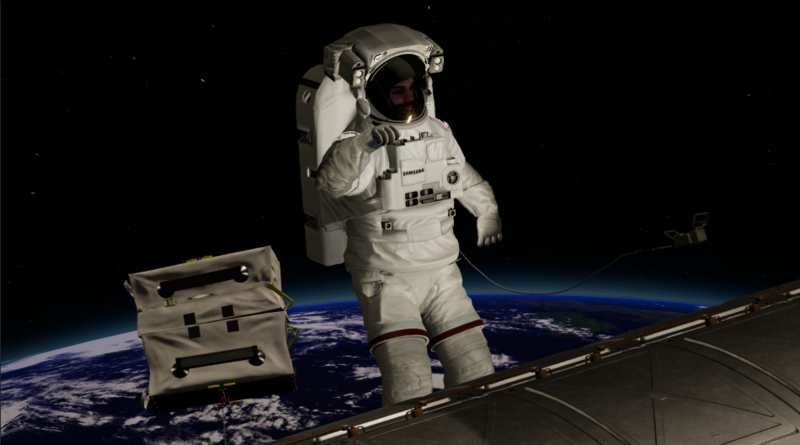 One of the creative challenges was to deliver clear and true-to-life assets that could work on a giant 65’’ 4K Samsung screen, just half a metre away from the user. 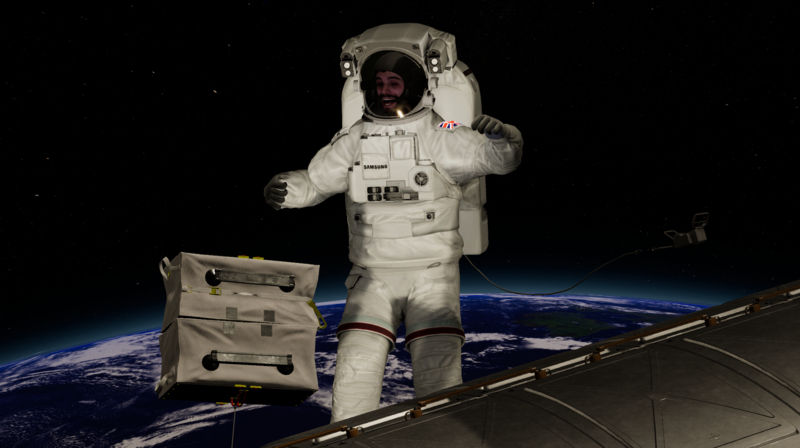 Not to mention the user experience design which had to make them feel like they were wearing a big 200lb spacesuit.